Does the thought of plunging into one of Europe’s freshest water lakes with epic views of snow-capped mountains sound like your idea of bliss? If so, then read on. Hidden in the hills of northwest Yunnan, in southwest China, among snowy mountain peaks and lush green valleys, the Songtsam Lodges seamlessly mix Tibetan culture and hospitality with vibrant colours and beautiful local furnishings. Discover three of the boutique lodges on the current Songtsam circuit, and discover what makes this tour so appealing. Getting out of the bustle of Shanghai and back to nature. Visiting the picturesque water towns and tea plantations that surround one of the world's busiest cities. 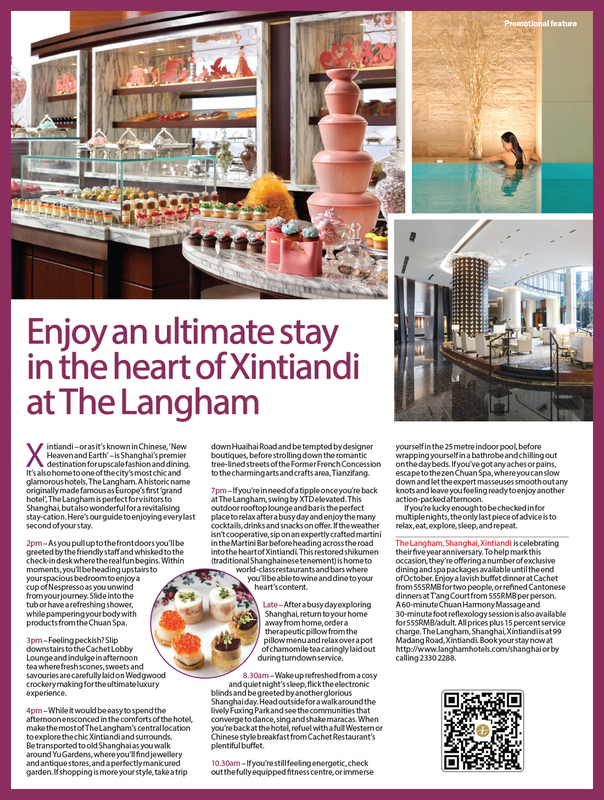 A fun advertorial written to celebrate the anniversary of a luxury hotel client in Shanghai.